Board Index > General Chat > Anything Goes > From Dickey's 2007 Guitar Worlld interview. Author: Subject: From Dickey's 2007 Guitar Worlld interview. Sure do like Dickey's and Berry's arrangment on that one! "Oakley morphed a lot of those songs into something different than the way they had started. And the arrangement on “Hoochie Coochie Man” was all me and Oakley. Is that “Hoochie Coochie Man” arrangement a good example of the way you’d been playing in Second Coming? Yes, it was. That was the way we played together, with all of the constantly evolving unison licks." For those who may not have read it,here's the complete interview. Duane Allman led the Allman Brothers Band to success with his brilliant guitar work and supremely confident attitude. On the 35th anniversary of the group’s greatest album, At Fillmore East, Allman Brother Dickey Betts shares his memories of the late great guitarist and the album that made them famous. Sitting in his beautiful home in Spanish Key, a suburb of Sarasota, Florida, Betts is in the midst of his annual winter break from touring with his band, Dickey Betts and Great Southern. 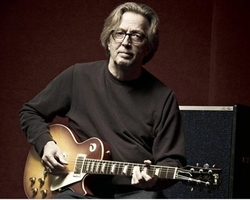 On the occasion of the 35th anniversary of At Fillmore East, the most celebrated of the many essential releases by the Allman Brothers Band – along with the recent passing of what would have been Duane Allman’s 60th birthday on November 20, 2006 – Betts has offered some of his time to share his feelings and recollections of one of rock guitar’s true icons. Betts, born in West Palm Beach, began playing in rock bands in the mid Sixties while in his early teens. It was during this time, as a regular on the club circuit that included popular nightspots in Daytona Beach and Sarasota, that he first encountered Duane and his keyboard-playing brother, Gregg. In early 1969, the three, along with Berry Oakley on bass and Jai Johanny “Jaimoe” Johanson and Butch Trucks on drums, formed the Allman Brothers Band. Duane Allman earned his stripes as one of the true legends of rock guitar via his soulful slide and standard guitar work on such Allman Brothers releases as The Allman Brothers Band, Idlewild South, At Fillmore East and Eat A Peach, as well as through his magnificent contributions to Derek and the Dominos’ Layla and Other Assorted Love Songs; it’s not commonly known, but on Layla, Duane devised the title track’s dynamic primary riff while also contributing brilliant slide work to the song’s coda. His meteoric rise to fame ended tragically, at the age of 24, in a motorcycle accident on October 29, 1971. He was soon to be hailed as one of rock’s greatest guitarists, alongside the likes of Jimi Hendrix, Eric Clapton, and Jimmy Page. In the wake of Allman’s death – which was followed soon after by the death of bassist Berry Oakley – leadership of the Allman Brothers fell to Betts, under whose stewardship the band achieved their greatest success with the release in 1973 of Brothers and Sisters, which included the Betts-penned No. 1 single “Ramblin’ Man” as well as his classic rock instrumental staple “Jessica”. In this candid interview, Betts gives us a personal and intimate view of the real Duane Allman and tells the inside story behind what many consider to be the greatest live rock album of all time, At Fillmore East. Of all the rock guitar legends, Duane Allman remains the most enigmatic. In your words, what was Duane like? Duane was a “triple Scorpio.” In astrology, triple Scorpios are people that are on fire – just blasting straight –ahead. There must be something to that, because if anybody ever acted a triple Scorpio, it was Duane. Now that I look back after all these years, it was like he knew that he only had a certain amount of time to get things done. If you weren’t involved in what he thought was the big picture, he didn’t have any time for you. A log of people really didn’t like him for that. It’s not that he was aggressive; it was more a super-positive, straight-ahead, I’ve-got-work-to-do kind of thing. If you didn’t get it, it was like, see you later. He always seemed like he was charging ahead. Duane also had the respect of so many people; he was a natural leader, but if he got knocked down, you’d feel compelled to do everything you could to get him back up and going again. In fact, he and I talked a lot about that, and we decided that would be the difference in our band as compared to every other band we’d ever been in: when someone falls, instead of kicking him, or talking about him or taking advantage of him, we’d help him and pull him back up. How did the strength of Duane’s positive attitude impact the band? He believed in what we were doing so much that, to him, it could not fail. The rest of us knew what we had, but the kind of confidence Duane possessed was something else entirely. Duane didn’t plan the formation of the band. It was really a joint effort, but Duane was definitely the spearhead. The comments we heard at the time were that we were too good to make it as a commercially successful band. Following the lead of the Jimi Hendrix Experience and Cream, the Allman Brothers Band took the concept of free-form group improvisation into uncharted territory and, ultimately, set a very high musical standard. Was there a feeling among the band members that the group had developed something groundbreaking and new? The feeling was that we had discovered the very thing that we’d all been looking for, even if we didn’t really know beforehand what that was. We could all feel that something really good was happening. Did Duane function as the bandleader? He didn’t see himself as the bandleader; he led by example. And you gained a lot of respect from Duane if you earned it, if you proved you could keep up with him. If you couldn’t, you’d either end up in awe of him or you might not even like him. He was very different from Jerry Garcia, who was very easy going. Duane didn’t have time to be easy going; there was much more urgency to his personality. Do you remember first hearing of Duane Allman? It was around ’65, ’66. I kept hearing from different people about this hot guitar player named Duane Allman over in Daytona. I started going out with a girl that had dated Gregg, and she told me about the brothers. I had a pretty good band at the time [the Jokers, name-checked famously in the Rick Derringer-penned hit “Rock’n’Roll, Hoochie Koo”]. We had the biggest crowds in Sarasota. A couple of years later, they came by a club I was playing in Winter Haven and sat in with me. Duane came up onstage to play and I showed him the amp to plug into, which was on the dark corner of the stage. It was hard to see, so as he was plugging in, I tried to help him, saying, “This here is the bass and treble, and here’s the volume,” and he looked at me and said, “Man, I know how to run an amp by now, I think!” And I was just trying to be nice! So I said, “Okay, well, f***ing have at it then.” So we didn’t get along that time either. Before the formation of the Allman Brothers Band, you and bassist Berry Oakley had forged a tight musical relationship from playing together in a variety of different bands. Berry and I started with a band called the Soul Children, which later became the Blues Messengers. By 1967/’68, we moved to Jacksonville and our band had become the Second Coming, so named by a club owner because he thought Berry looked like Jesus Christ. We thought that was corny as sh!t, but the club owner offered us double what we were making in Tampa, and he had a new club with a wild psychedelic light show, which nobody had in Florida; that was “California” stuff. The club was called the Scene, and it was the only place in Jacksonville like that, and we were the only people in town with long hair. We’d drive somewhere and people would throw sh!t at us! At that time, nobody was coming to the club to see us, and the ones that did had “white-wall” haircuts [buzz cuts]. So we started to play for free in the park, and got some guys to put a little makeshift stage and a generator together for us. Was this Willow Branch Park? I’m not sure of the name; it was by a place called the Forest Inn, a BYOB after-hours joint on 10 acres, and we’d set up outside on Sunday afternoons. Berry would say things like, “We’ve got to get our people together,” and I’d say, “What people?” [laughs] He’d say, “They’re out there; they just don’t have any place to congregate.” Pretty soon, the people’s hair started getting long, and we started to see tie-dye shirts and beads. We started to get really good crowds, a couple thousand people. Then the police decided to run us out of town. By late ‘68/early ’69, Duane started showing up and he’d sit in with us. That was when I really started to get to know Duane, and we hit it off great then. Did this lead to the formation of the Allman Brothers Band? It was around that time that Duane, Oakley, and Jaimoe decided to put a trio together, and Duane’s manager, a guy named Phil Walden, got them a record deal. So Berry started going up to Muscle Shoals to record with Duane. Ironically, Duane was helping to bust up our band, which I knew was bound to happen. What I didn’t know was what it would eventually lead to. Their group was supposed to be a power trio, like the Jimi Hendrix Experience and Cream, but Duane had to sing, and Jaimoe doesn’t play drums in that style at all. Berry brought back some demos of the stuff they were doing, and even though it was good, they weren’t going to be able to stand up next to Hendrix and guys like that. At that point, Gregg was out in L.A. and they were mad at each other. It was just a brotherly thing; they fought all of the time. Duane said, “Oh, he ain’t coming,” but we knew Gregg was going to have to come. And as soon as I got in there, Oakley and Doucette and I started harping about getting another drummer, because we felt one drummer couldn’t carry the band. Berry and I had been playing six nights a week with our band, and Duane was sitting in with us every night, plus we did the jam on Sundays as an unnamed band, which would soon be called the Allman Brothers Band. Our drummer at the time was great, but he wasn’t the kind of drummer we wanted for this new band with Duane and Jaimoe. His name was “Nasty” Lord John. [laughs] He played like Ginger Baker; he hardly ever played a straight beat. But when Butch came along, he had that freight train, meat-and-potatoes kind of thing that set Jaimoe up perfectly. He had the power thing we needed. Now we had a five-piece band that really started to sound like something. And when Duane and I really started to play together all of the time, it was like [jazz violinist] Stephan Grappelli and [jazz guitarist] Django Reinhardt, because we played together and complemented each other as best we could. When did Gregg come into the fold? We kept nagging Duane to call Gregg, and finally he did. Gregg showed up in the beginning of ’69, and when he heard the band play, he was floored. He walked in during a rehearsal, and he said, “I can’t play with this band!” We were really blowing; we’d been playing those free shows for six weeks by that point. We had songs like “Don’t Want You No More” completely down, just the way it is on our first album. When Gregg got with us, we added the 6/8 part to it for the organ solo, and the segued into his song, “It’s Not My Cross to Bear,” to make it like one big tune. Once Gregg sang and played with the band, was it obvious that the ingredients were all in place, and this was something special? We knew that what we were doing was the thing. We all had been bandleaders, we were all very experienced as musicians, and we knew what we now had. And Duane was such a great guy for keeping things positive. He would talk about all of the things that we all had been thinking about and gave us what were, essentially, pep talks. He’d often say, “I’m not the leader of this band, but if and when we need one, I’m a damn good one!” And he was. An essential part of the Allman Brothers story that is often neglected is an acknowledgement of Berry Oakley’s many musical contributions to the band. Absolutely. I bring up the importance of Berry Oakley in every interview, but it doesn’t always get printed. For one thing, Berry was the social dynamics guy: he wanted our band to relate to the people honestly. He was always making sure that the merchandise was worth what they were charging, and he was always going in and arguing about not letting the ticket prices get too high, so that our people could still afford to come see us. And he also played a big role in shaping the band’s arrangements. Oh yeah. “Whipping Post” was a ballad when Gregg brought it to us; it was a real melancholy, slow minor blues, along the lines of “Dreams.” Oakley came up with the heavy bass line that starts off the track, along with the 6/8-to-5/8 shifting time signature. When he played that riff for us, everyone went, “Yeah! That’s it!” In fact, Oakley called a halt to the rehearsal and said, “Wait a minute; let me work on this song tonight and let’s get back to it tomorrow.” By the next day, he had that intro worked out. Oakley morphed a lot of those songs into something different than the way they had started. And the arrangement on “Hoochie Coochie Man” was all me and Oakley. Yes, it was. That was the way we played together, with all of the constantly evolving unison licks. What were the things that Duane brought to the table, arrangement – or composition-wise? Duane and Gregg had a real “purist” blues thing together, but Oakley and I in our band would take a standard blues and do what we did with “Hoochie Coochie Man” to it. We were really trying to push the envelope all of the time, and we didn’t care about a purist blues attitude. We loved the blues, but we wanted to play in a rock style, like what Cream and Hendrix were doing. Duane was smart enough to see what ingredients were missing from both bands. We knew that we didn’t have enough of the true, purist blues in our band, and he didn’t have enough of the avant-garde/psychedelic approach to the blues in his band. So he decided to try to put the two sounds together, and that was the first step in finding the sound of the Allman Brothers Band. Both you and Duane were very strong personalities, musically and otherwise. It’s easy to imagine that it would have been difficult for two such formidable guitar players to work together as well as you two did. We had an immense amount of respect for each other, to the point where it was almost like, Don’t push me too far! I didn’t push him and he didn’t push me. We talked about being jealous of each other and how dangerous it was to think that way, and that we had to fight that feeling when we were onstage. He’d say, “When I listen to you play, I have to try hard to keep the jealousy thing at bay and not try to out-do you when I play my solo. But I still want to play my best!” We’d laugh about what a thin line that was. We learned a lot from each other. When you think about it, I was only 25 and Duane was 23, and the things we were talking about were pretty mature for guys our age. Duane was one tough, cocksure guy. He had a strong belief in himself, and he was damn good. I was damn good too; I just didn’t believe in myself the way Duane did. It wasn’t until a few years later that I thought, Well, I guess I am pretty good too. In April of ’69, the band moved up to Macon, Georgia, at the behest of Phil Walden who had by then become the band’s manager and had signed the group to his new Capricorn record label. In August, the band cut the first album, and the second record, Idlewild South, was recorded between February and July 1970. Around this time, Duane talked about wanting the next record to be a live album. We were all real happy with the first two records, and I should point out that Duane was a monster in the studio. He taught me, and all of us, a lot about having the proper mind-set for working in the studio environment. He knew how to make a record, and he taught me how to get into the game. But it’s true; we all wanted to make a live record by that point. I think it was Tommy Down that suggested the Fillmore East, and we said, “Yeah!” The Fillmore was our Carnegie Hall, and we loved Bill Graham so much. He never gave us one grain of bullsh!t, and he’d raise hell with other bands over all kinds of things. On the closing night of the Fillmore East, he called us the “best damn band in America,” and that floored us. At Fillmore East is a magical record, one that is widely regarded as the greatest “jamming” album ever recorded. With many live records in those days, the joke was, “the only live thing on the record is the audience,” because just about every band would go into the studio afterward and fix the tracks. On At Fillmore East, nothing was changed; the only studio work that was done was that we edited down the length of one or two tracks, and that was it. Also, the first night we had some horn players come and sit in with us, and we ultimately cut them out, too. So, there was some technical stuff done, some solos cut down in length, but there is not one single overdub. The opposite end of the spectrum is “You Don’t Love Me,” which goes on for nearly 20 minutes. Yeah, we let that one go! [laughs] It’s great! The thing is, I played sh!t in there that I’d never played before in my life. Duane played his solo bit forever, so I thought, Well, I guess I’m supposed to come up with something, too! Another groundbreaking byproduct of the popularity of At Fillmore East was that FM radio began to play album tracks like “Whipping Post,” which was the length of an entire album side. In those days, FM radio was an “underground” thing, where the DJs would tell you who the players were and give you some background on the music. They didn’t have to follow a strict format the way AM did, so it was pretty open. There’s nothing like that now, but we came along at a time when we could get our stuff, even our live stuff, played on the radio, and that was how a great many people found out about us and became fans. What are your feelings about At Fillmore East today? I think it’s one of the greatest musical projects that’s ever been done in any genre. It’s absolutely honest; an honest representation of our band and an honest representation of the times. Why do you think it’s important for people to listen to Duane Allman today? Simply because he was one of the best there ever was. When you listen to Duane, you are hearing a truly gifted individual giving his all to the music, and there is nothing better than that. Duane played music the same way that he rode his motorcycle and drove his car. He was a daredevil, just triple-Scorpio, God’s-on-my-side wide open. That was part of the romance. And I loved Duane. I have nothing but admiration for him. 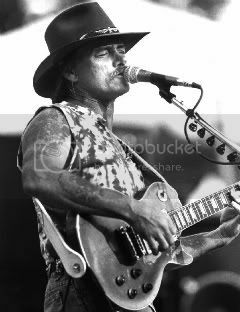 Wonderful side of Dickey Betts.. Great interview, Fantastic questions with an inside look into their world of music and how it all happened. Do you know who the journalist was conducting this interview ?? Could it have been Andy Aledort who plays with Dickey Betts and Great Southern... I am pretty sure he writes for Guitar World Magazine.... and I know he also teaches guitar. If this was Andy Aledort's review... we need to encourage him to write Dickeys memoirs down and get that published.... Now that's The Book I want to read. It was Andy Aledort who did the interview. Wasn't it great! Terrific idea about Andy helping Dickey write his memoirs! Dickey is very gracious and honest about his relationship with Duane. That's 'cause the Cat in the Hat,is a class act! I know this annoying but.. I am gonna keep bumping this thread up ^to first page.. Maybe I won't be alone in the bumpin ^^^^ Needs to be read... in light of the 40 th year anniversary... celebration ???????? A great interview, thanks for posting. A great job by Andy. Having met him and knowing what a nice guy he is, I'm sure also that he has alot of respect for Dickey, who is in fact a living legend. I'm bumpin' with you on this one Rainy. 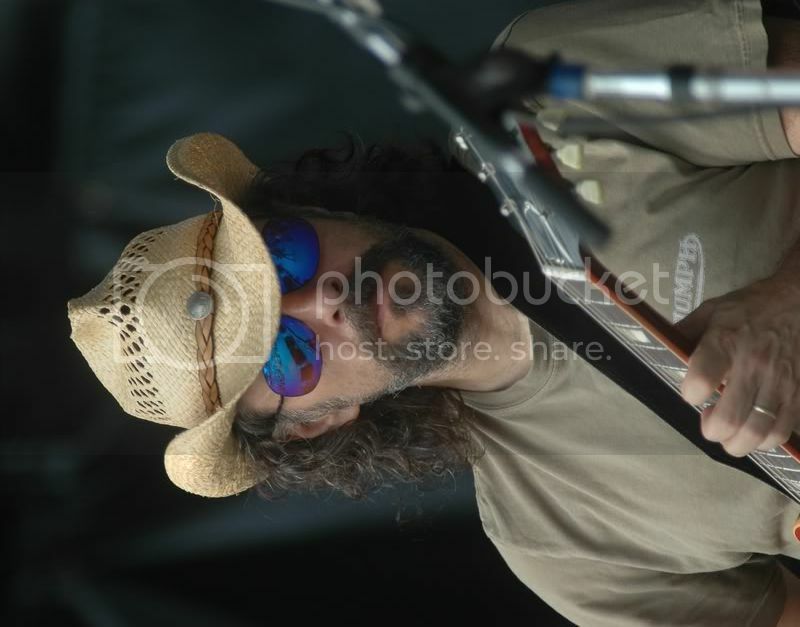 Andy Aledort, onstage with GS at the NY State Fair. Great interview. Still read it fairly often. I wrote a letter to the editor about how much I liked the article, and the it was printed in the magazine's letters column. Only time I've been "published". If you haven't read this article.. Please give it a minute of your already valuable time... Needs to be read.. and Andy did such a great job... Here , Here Andy..
Hey Rainy Been wondering where you were. Should have known. But here is another bump. I love this interview. To love Duane's playing, and to understand what Dickey is saying about Duane, you have to love Dickey and his playing, as well. As much as we talk about Duane and his legacy, a big part of that legacy is his interplay with Dickey. Duane and Dickey are like Batman and Robin, Bullwinkle and Rocket J. Squirrel, The Long Ranger and Tonto....you get my drift. They are great individually, but together, they were pure magic. I think it was the A&R Studios show from 8/26/71. The first time I heard it, and they were in the middle of their guitar solos on YDLM, and when they traded off, I honestly had trouble determining where Duane left off and Dickey picked up. I was floored by it. I think deep down, after all this time, Dickey still misses Duane and grieves for him. Very nice, heartfelt interview. I love reading about the old days, Thanks for posting. Great interview. And Dickey takes the high road...not one negative word about GA & BT....and he is a very articulate man. I'm so glad this article was posted. I absolutely adore Mr. Betts's compositional skills and guitar playing, and to have him be this frank about Duane Allman and their influence on each other is the icing on the cake. No bad vibes from him about this decade, just a shout-out of respect for the man and the music they made together close to forty years ago. What a classy interview.